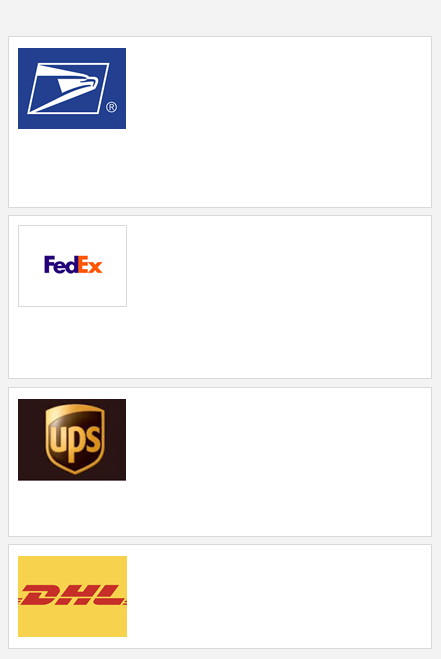 The FedEx name and logo are registered trademarks of the FedEx Corporation. The DHL name and logo are registered trademarks of DHL International, Ltd. The UPS name and logo are registered trademarks of United Parcel Service of America, Inc. The USPS name and logo are registered trademarks of the United States Postal Service. Our multiple carrier choices give you the best pricing and shipping options everyday. Federal Way, South King County, Seattle, Tacoma, Notary, Notary Services, Mailbox Rental, Mailbox, Mail, Post Office, Postal Center, DHL, UPS, FedEx, Federal Express, Ground.